Winter isn’t coming – it’s here! 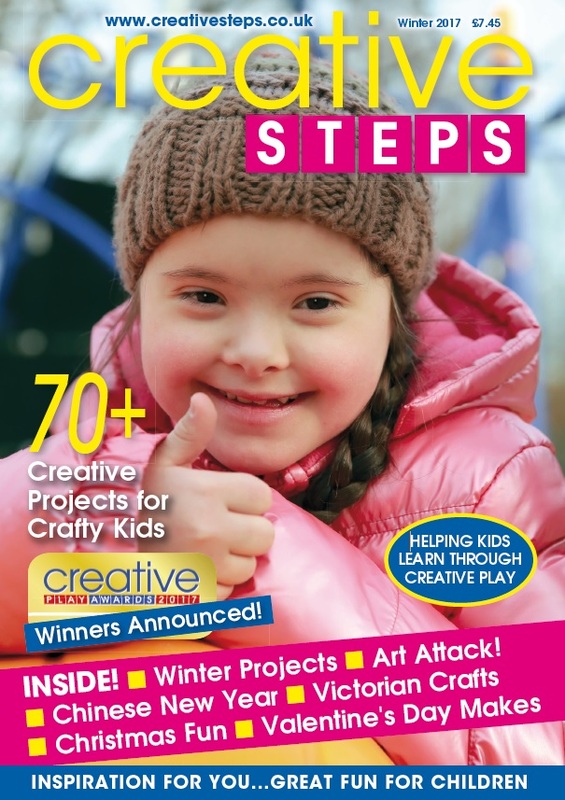 Yes, the bumper Winter issue of Creative Steps is available now – in print and online. 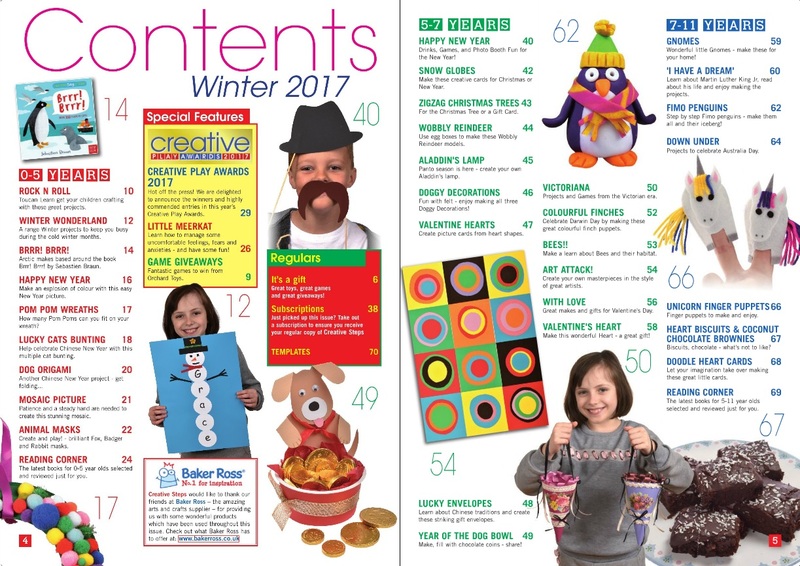 This issue includes dozens of fun crafts and creative activities for you to enjoy with the kids in your care, including: winter-inspired crafts, last minute Christmas makes, New Year activities, Chinese New Year, Australia Day, Art Attack, Valentine’s Day cards & gifts, plus dogs, penguins, gnomes and unicorns!! PLUS: Don’t miss the £100’s of fabulous toys, books and resources to be won in this issue in our free to enter competitions – including your chance to win fantastic Orchard Toys games ‘bundles’! 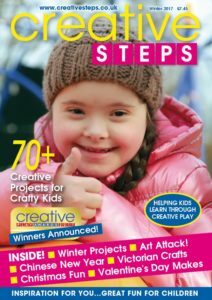 This issue also includes the Winners and Highly Commended winning entries in the 2017 Creative Play Awards! Check out all this year’s winning entries from page 29 in the Winter issue.